Barton Seaver, Esquire magazine’s 2009 Chef of the Year, National Geographic Oceans Fellow and author of For Cod and Country cookbook, is the Sustainability Fellow at the New England Aquarium—a role that lets him share ways families can bring sustainable seafood to the dinner table. Read Part 1 for more on the why canned seafood should be considered for your next meal. In Part 2 of this series, he offers some ideas on how a simple can of seafood can be ocean-friendly, sustainable and tasty! While fresh seafood can be a bit of a hit-or-miss in terms of the quality available, canned seafood is always consistent. Much of the time the fish are processed within hours of being caught, locking in freshness and quality. And the health benefits of canned seafood are equal to those of fresh seafood. In fact, I would say they are greater in that having a consistent go-to source of fish encourages increased consumption of this heart-healthy food. Having such convenient and cost-effective protein available at a moment’s notice enables us to reduce our consumption of other less healthy proteins. After a long day of work with little time to plan, shop for, and prepare a meal, there's nothing more welcoming than creating a protein and omega-3 packed meal made from pantry staples to sustain you and your family. When shopping for canned seafood you will find a huge variety of options. Keep in mind that while canned species tend towards environmentally-friendly options, sustainability should still be considered. Educating yourself with the sustainability guidelines from the New England Aquarium will help to clarify your decisions. Other factors to consider are products that are packaged in BPA-free containers. (BPA is a plastic liner within cans that is considered a health risk.) Also, look for products labeled low sodium—you can always add a little seasoning such as fresh herbs and spices to accentuate flavor. When it comes to oil-pack vs. water-pack, the choice is up to you. I prefer to use oil pack as I find that the oil takes on the rich flavor of the seafood and becomes a delicious addition to the final dish. When using water-packed seafood, more often than not there is no use for the water and so it, and the flavor it has absorbed, goes down the drain. While canned products are traditionally maligned as convenience food and not fit for fine cooking, I respectfully disagree with this interpretation. 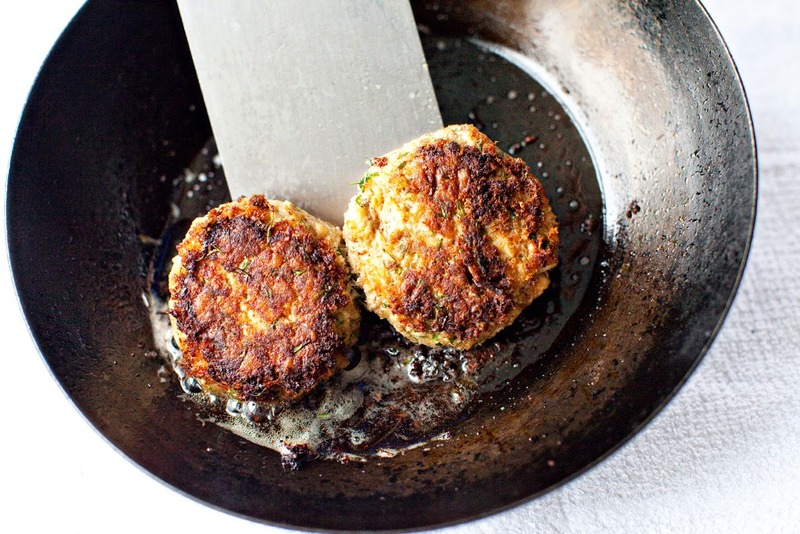 Canned pink salmon makes for excellent salmon cakes when mixed with fresh herbs and whole grain mustard. I prefer to eat pink salmon with the bones and skin as they offer the additional benefit of high calcium. The all-too-familiar canned tuna gets a new turn in the spotlight when paired with a mayonnaise spiked with the delicious oil from the can and the enticing flavors of nutmeg and celery. Smoked mussels make for a fine New England-style chowder, chunky with potatoes and milky broth. The convenience is easy enough to make this a new snow-day lunchtime favorite. Sardines are once again a welcome addition to the table when accentuated with the crunch of thin shaved fennel and radishes for a healthy and easy lunch. And anchovies disappear into a rush of compliments as your family devours a pasta sauce rich in flavor and omega-3s. Choosing and preparing sustainable seafood does not have to be as mysterious as the deep, wine-dark sea. Some of the most delicious options for quick, easy, and healthy meals may already be in your pantry. So the next time you are in a pinch and need a quick meal, remember to think inside the can. Learn more about the Aquarium's Sustainable Seafood Programs by exploring our ocean-friendly seafood guide or treating yourself to a Celebrate Seafood dinner event.